Pao Jao Dumplings and Ramen has replaced the Chinese place that kept changing names. The Pho place, the Mexican place and Bibimbar (Korean) are still there. I went there to check out Pao Jao, which is allegedly related to Pao Jao Dumplings and Noodles in LA’s Koreatown. Whereas the LA place has Korean Dumplings and Korean Noodles (japchae, jjajangmyun, etc.) ours has the odd but probably pragmatic combination of Korean dumplings and very Japanese ramen. There have been several reviews on Yelp, mostly by people hungry for ramen (and were not overwhelmed by what they found), but I was there for the dumplings. 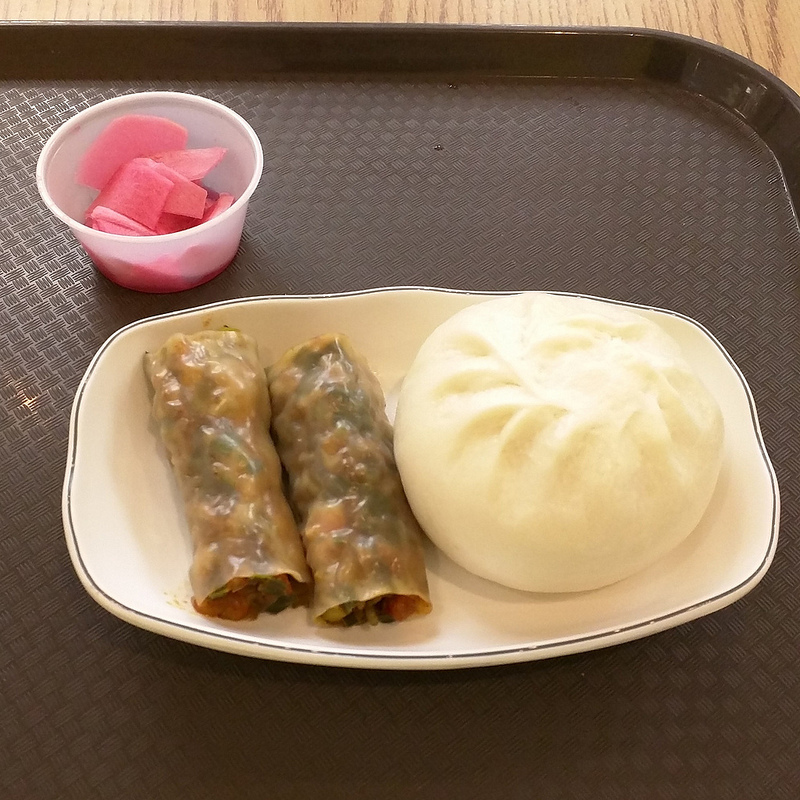 The pork “jao” (2 for $3.50) were spring roll-shaped and -sized cylindical open-ended steamed dumplings which were also chock full of protein and nicely spicy. I found both types of dumplings enjoyable and worth repeating, but the ramen there is not high on my bucket list. I hope they will expand their menu on the Korean side. I was told this pao jao had a ramen focus, which I thought weird. I grabbed an order of the cigar shaped spicy shrimp and pork…well to me it’s mandu…in LA this summer and was looking forward to this SF branch. But I want “pao” and “jao,” not ramen. So I hope the menu skews that direction too.